Early part of this year I participated in a lecture given by a former RAW chief Chandran who without any hesitation told us that India didn’t like the heavy US involvement in Sri Lanka in the early part of the Eighties and wanted to teach a lesson to Sri Lanka thereby providing arms trainings to Tamil Groups. According to him, India’s sole intention was to have their strong presence in Sri Lanka. When he was asked by the Tamils in the audience about the political solution for Tamils, his reply was “Did we ever mention political solution during the training?”. He continued “We gave you training to attack Sri Lankan forces and but never mentioned about Tamil Eelam or a political solution to you”. So straight from the horse’s mouth, the RAW chief confirmed that India had used the Tamil discontent to get to Sri Lanka, leaving most of us in the audience who had willingly participated in this experiment, feeling angry and betrayed. It was a Deepavali day on 21 October 1987, 68 innocent Tamils were shot and killed by the IPKF inside the Jaffna Hospital compound, including 3 Doctors, 3 Nurses, 17 Hospital staffs. The next morning Dr.Sivapathasuntharam, who unknowingly came into hospital premises in an attempt to save his injured staff, was killed by the ‘peace keepers’; a child who was thirsty and went to ask for water was also shot by the Indian soldiers. Though Deepavali, popularly known as the "festival of lights", is an important five-day festival in India but for Sri Lankan Tamils that particular Deepavali was the darkest day in our history. A few days before this attack my friends and I managed to flee from Manipay to Kytes by fishing boats. On our way along with other dead bodies, we have to bury 2 girls in their twenties and another one in her thirties, who were raped and killed by the IPKF in Navali, Manipay. Although in those days we did not have the technologies to record these events, my memories are still fresh and those images are still there in full colour. A few weeks later the IPKF took control of Jaffna and I managed to return to Manipay and re-started my AAT course in Jaffna. However another killing spree was started in Jaffna by an unknown group called the Mandian group stopped my studies. The Mandian group was very close to the Indian Peace keepers and their project was to eliminate the traces of the LTTE from the North and East of Sri Lanka. For example, a man called Satkunam who was very famous in Manipay during my school days for his Tea stall (particularly for giving us young people, cigarettes and tea on credit) was allegedly assassinated sometime in 1988 by a Mandian group assassin. Satkunam’s only crime was providing food to the LTTE boys during the IPKF time even though he was forced to do so by the LTTE. 22 Years ago on 14th of August 1989 a terrible incident happened in Valvettiturai, in Jaffna. The Indian Peace Keeping Forces (IPKF) was alleged to have killed more than 50 civilians, including several children. 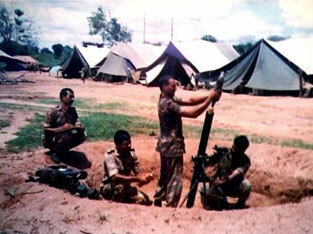 This was in retaliation to an LTTE attack at Valvettiturai. There were thousands of attacks carried out by the peace keepers, Hospitals were attacked; schools where civilians were sheltered were bombed and innocent civilians were executed by them and their allies. Yet in those days there were no Channel 4, no Darusman reports or no International outcry over human rights abuses meted out by the IPKF and their allies. Not a single Tamil politician from the TULF or the TNA even talks about these war crimes committed by the IPKF and their Tamil proxies. Somehow they have forgotten and perhaps even forgiven these crimes against humanity. How ironical it seems that the Indian media (and many of these groups previously guilty of such crimes) are reporting that they have evidence of war crimes committed by the Sri Lankan forces during the last stages of the war. What happened during the last days of the war in 2009 is still fresh in our memory. However we should also remember the quote by George Santayana “Those who cannot remember the past are condemned to repeat it”. 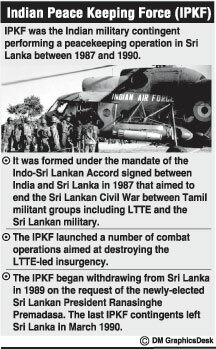 We all know how the role played by India in first supporting and then prolonging the Eelam War in the eighties.